to sign copies of my book "Large Block Quilts". 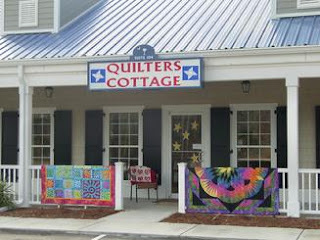 I will have a few of the quilts with me as well. This is my FAV shop in the Myrtle Beach area. Visit every time I go down to see my son who lives there! FUN! I was just there, sorry I'll miss you. I've been looking forward to seeing your book..I love the shop you will be visiting, and the owners are so nice.. I WISH I could be there....have fun! LOVE this store, I go there every year when we head to the beach!